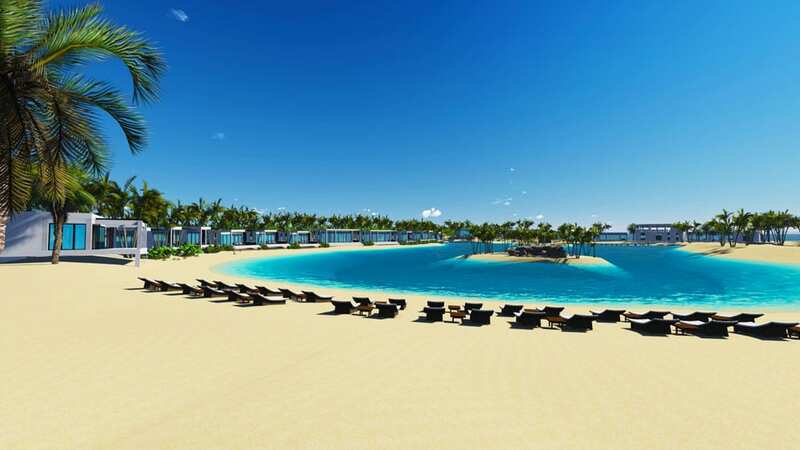 Norwegian Cruise Line has revealed details a major upgrade for its private island resort in the Bahamas. Great Stirrup Cay will get many new features and enhancements ready for Summer 2017. The 250-acre island which NCL purchased all the way back in 1977 will be upgraded as part of the cruise lines $400 million investment program called The Norwegian Edge. Lets take a look at some highlights of what’s to come. The islands 10-acre beach will soon feature a new half mile Oceanside boardwalk and will span the length of the shore at 100,000 square feet. 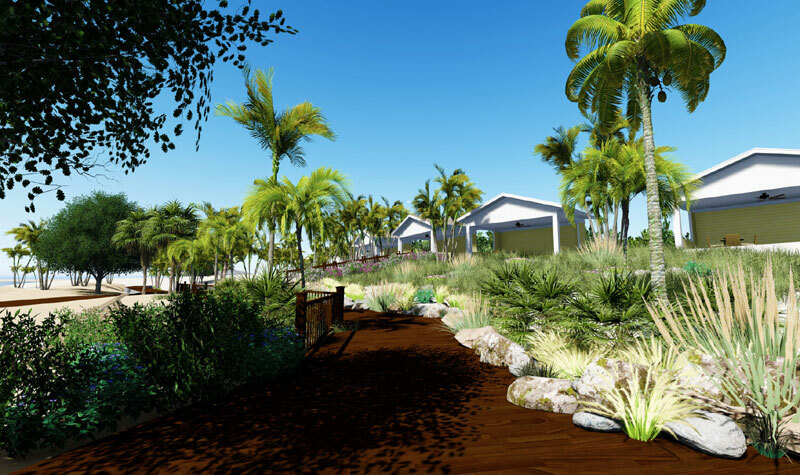 The boardwalk will be the perfect place for cruisers to get some shade and enjoy the tropical views. There will be a new half-acre entertainment complex which will be a hub of activity. The complex will feature areas to play all kind of sports and offer a stage for live music and events. Guest will soon be able to zip along two 1,000 feet of zip line. Those looking for a thrill can even race against each other while enjoy the breathtaking views of the Bahamas. 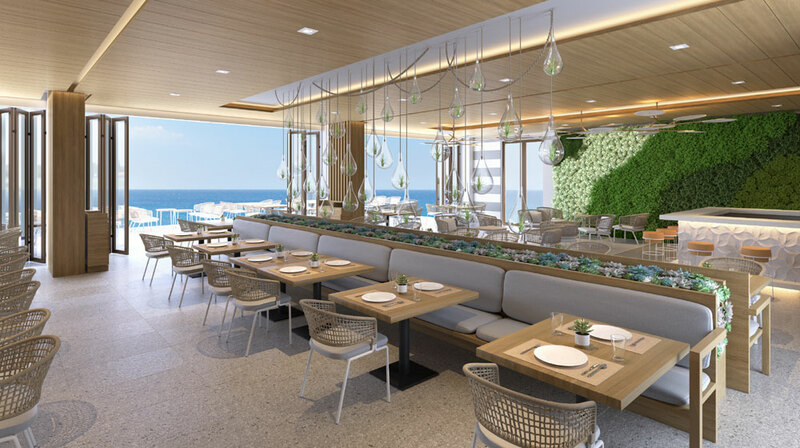 When it comes to dining NCL is really going for it with a brand new taco bar called Abaco Taco. it new venue will be added at the islands new entertainment hub. Inspired by beach bars of the Atlantic Coast a new LandShark Bar & Brill will be added. The new dining venue will be a great place to hang and menu items will be available à la carte. The Silver Palm restaurant will also be available for Lagoon Retreat guests which you’ll know about when you read on. The exclusive dining venue will offer seating inside and outside. It will be complimentary for those guests. Pure luxury is being offered on the island with the introduction to a new exclusive Lagoon Retreat. 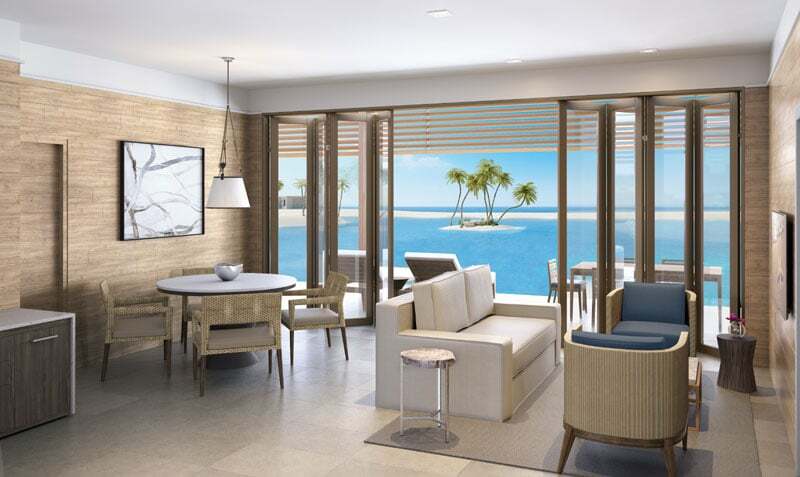 The private area will feature a secluded, pristine beach; oceanview restaurant; a posh Mandara Spa; sheltered family area; and 22 air-conditioned private villas available for reservations, ranging in size from studios to two-bedrooms. Guest booked in the ships Haven and Suites will be able to enjoy the new retreat along with those passengers who book island services with the Mandara Spa. It gets even better with guest being able to reserve one of Great Stirrup Cay’s luxury beach villas. The villas will feature an outdoor terrace, private bathroom and living/dining area, and can accommodate two to four guests. One bedroom villas accommodate four to six guests and feature a bedroom, private bathroom, living and dining areas and outdoor terrace with a hot tub. The ultimate island escape, Great Stirrup Cay’s two bedroom villas can accommodate up to 10 guests and feature two bedrooms, two private bathrooms, living and dining areas, and an expansive outdoor terrace with a dining area and hot tub. From Summer 2017 all the new island enhancements will be available. Great Stirrup Cay will be available on several Bahamas and Caribbean sailings offered by Norwegian Cruise Line.